The Road Ranger Blog: North Island Trip. Last week I attended a funeral in Tauranga, followed by a few days holiday in Coromandel, Waikato and the Central North Island. 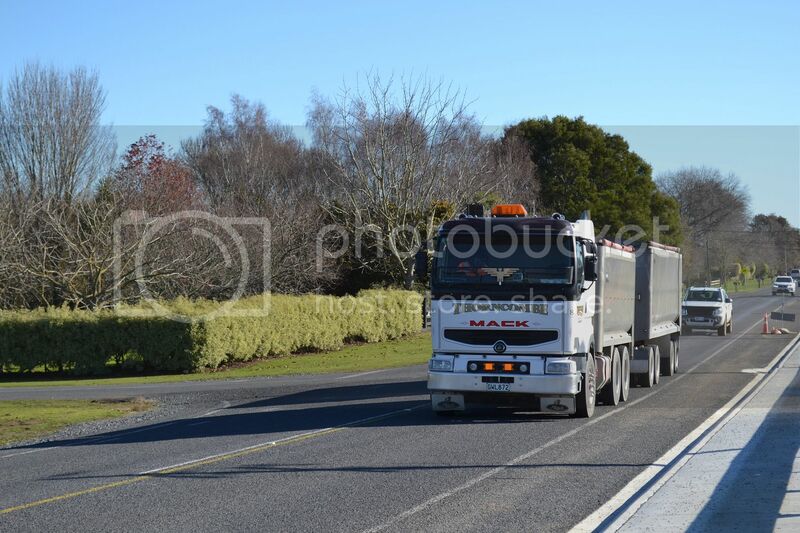 The weather was extremely cold everywhere, not the sort of conditions for standing at the roadside taking truck photos, but here is what I managed. 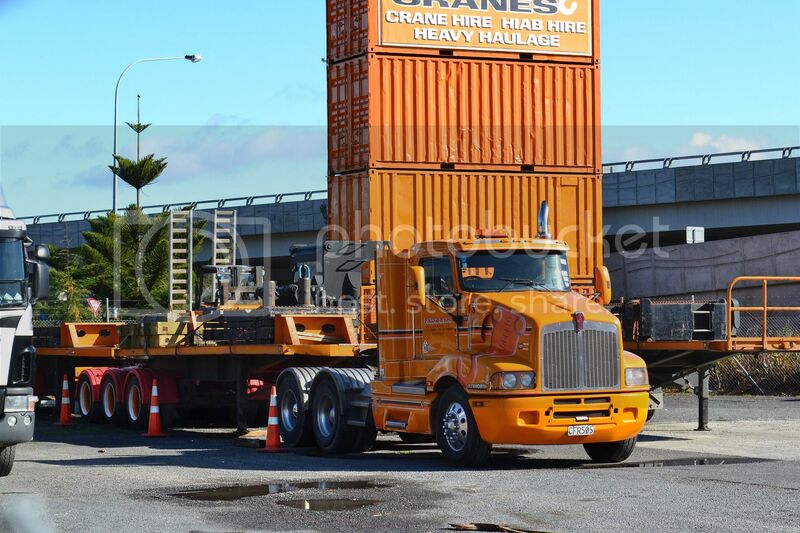 Pollock Cranes in Tauranga had this impressive 2009 Western Star 4964FX in their yard. 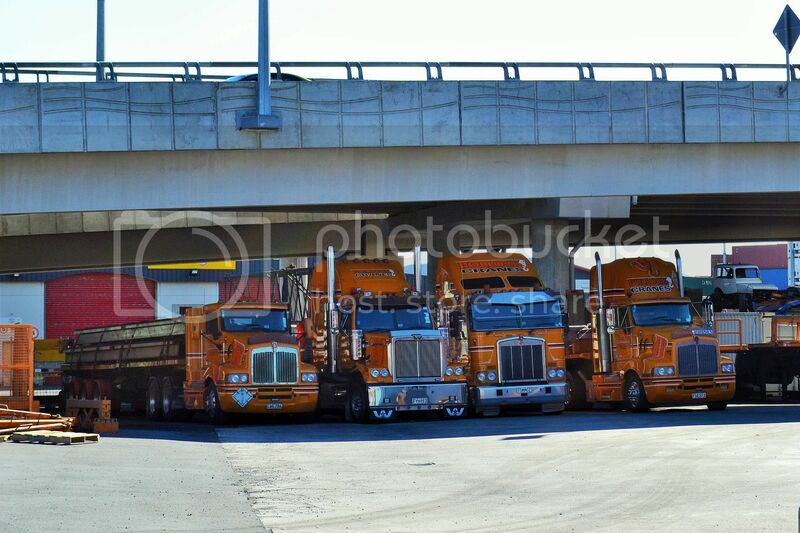 ...and another Kenworth, a 2004 T401, parked nearby. 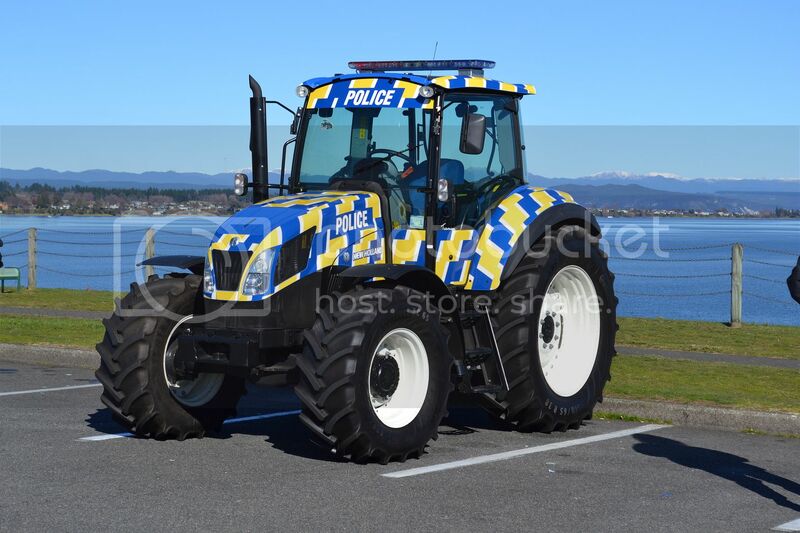 The NZ Police promotional New Holland tractor was attracting a lot of attention at Taupo. I managed to snap this in a rare moment between kids climbing all over it. 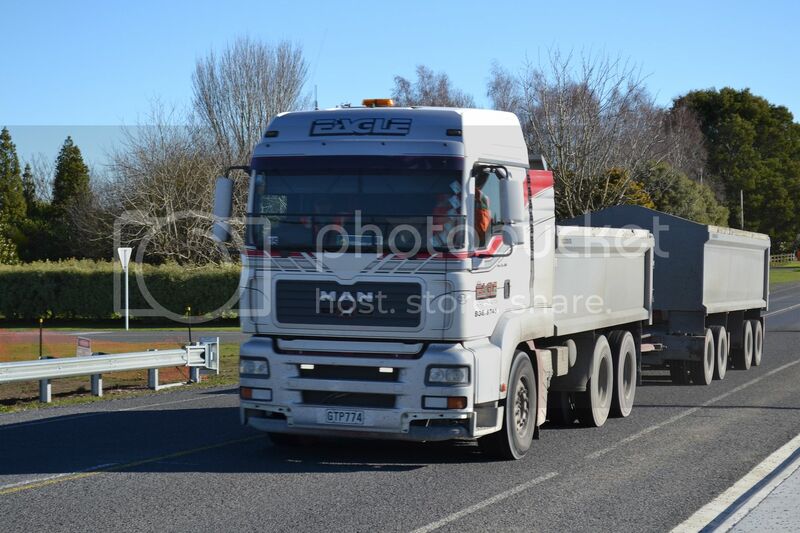 ...and a 2000 Mack Qantum 470. Near Hamilton Airport I spotted these old trucks on a vacant lot. 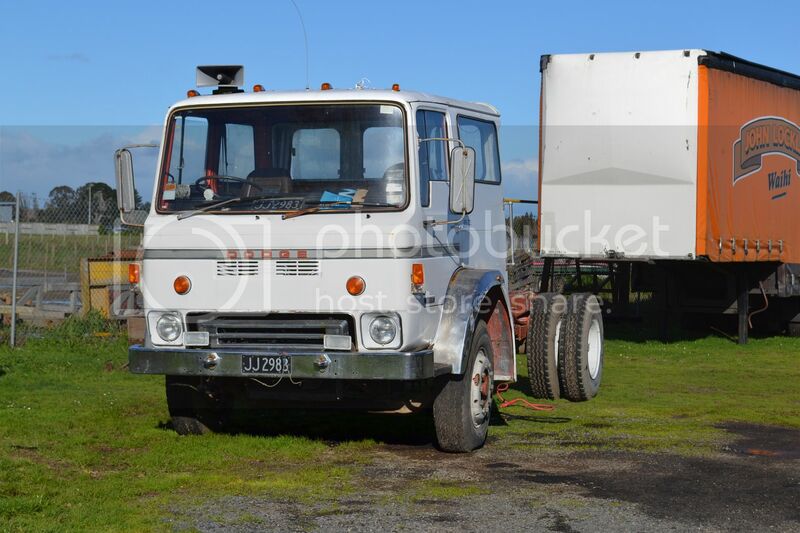 1979 Dodge RG15 appears to be a retired fire appliance. 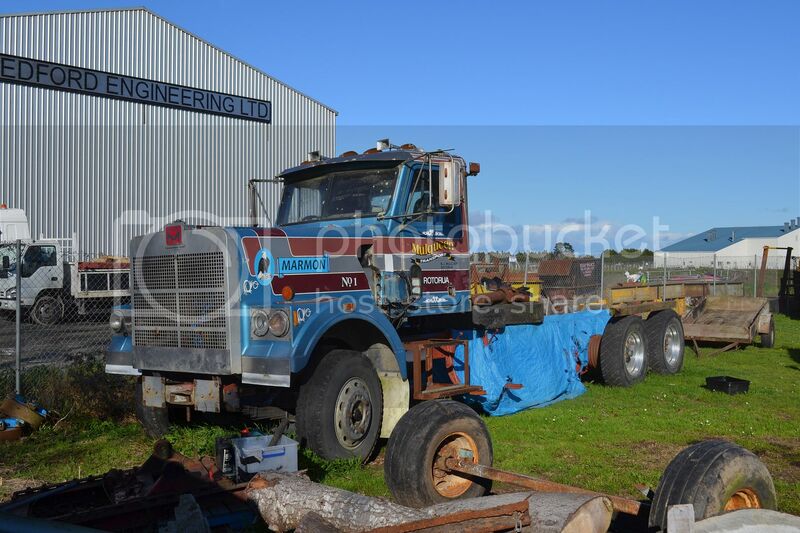 1967 Kenworth is rated at 5212cc, which suggests it was (or still is) powered by a 6 cylinder 53 series Detroit two stroke. 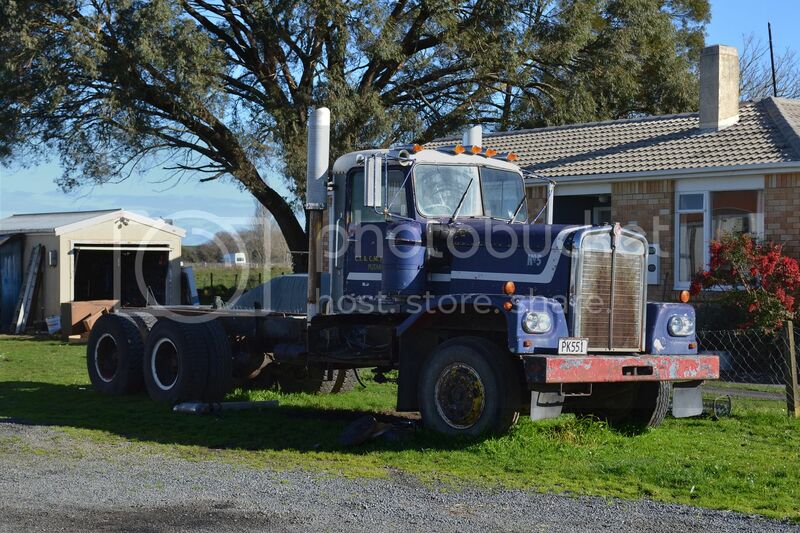 Rare Marmon has had a few bits robbed off it.